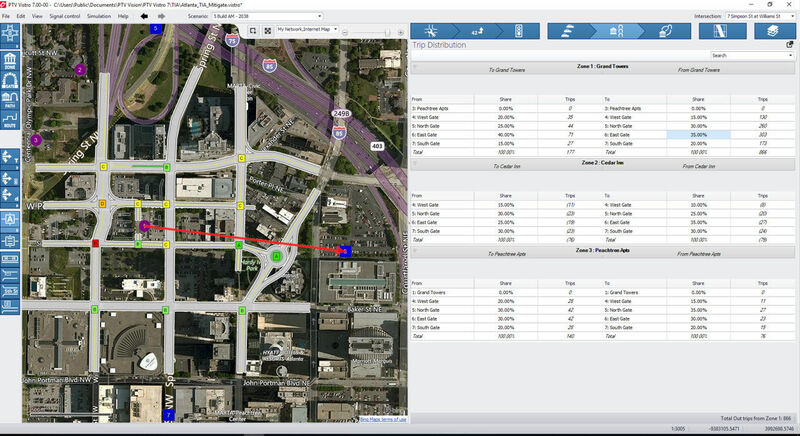 What better way to assess the existing roadway infrastructure and its ability to move traffic than using PTV Vistro? 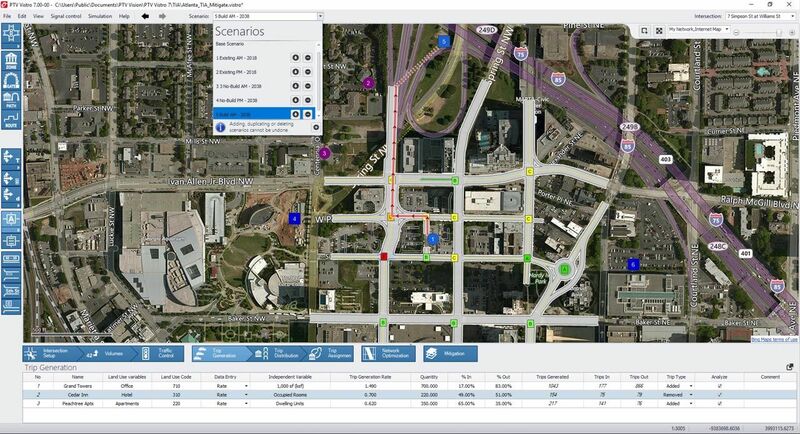 It is the ideal software for traffic impact analysis (TIA) as it guides users through the traditional methodology where trips are generated, distributed, assigned, and the final volumes are then assessed to determine the delay and level of service (LOS). With the Scenario Management feature, the robust traffic software allows you to manage the analyses for different time periods and even various development scenarios all in a single project. PTV Vistro smartly reduces work and errors while increasing quality in an organized file structure. In addition to the traffic impact analysis tool, you can import existing networks from PTV Visum, PTV Vissim or other software solutions. With the Abstract Network Model (ANM), PTV Vistro also offers an XML interface for the import of networks.